Hello Everybody, I'm searching for France Traffic only on CPA basis. We have outstanding LP's that convert very high right now. I need affiliates on long term who can grow with us and boost our Landing Pages. Please notice that we DO NOT DO prepayments at this moment. But we fully guarantee that payments will be made when the CPA/FTDs are reached. I'm selling Forex leads not older then 6 months. People interested for trading or ex traders. Cheap price full excel file. No free leads/no free tests! 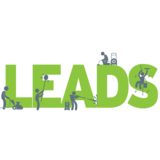 Data base of Leads all around the world. Generating them through E mail, SMS campaigns generally on daily and monthly basis, all the leads that i have are not older then 6 months. First Name,Last Name, E-mail, Phone Number. If you are interested pin me we can have a call and talk about potential collaboration. I'm searching for Signals Traffic only on CPA basis. No Prepayments at all! Geos: All English speaking countries EXCEPT UK. It's direct offer from the Broker.